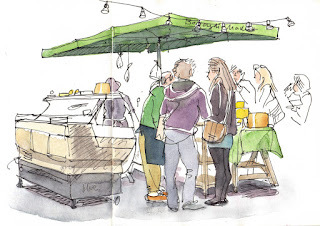 No one will go hungry at this month's gathering as we are meeting at one of London's most tasty markets - Borough Market - a dream for the foodies amongst us.There is multitude of produce/stalls/architecture/tasty morsels to sketch so your inspiration should rejoice. See their intearctive map to plan your day. 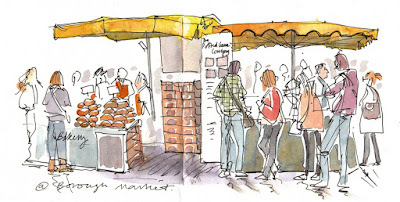 Continue to draw the market or you can explore the surrounding streets or the riverside between Southwark and London bridges. 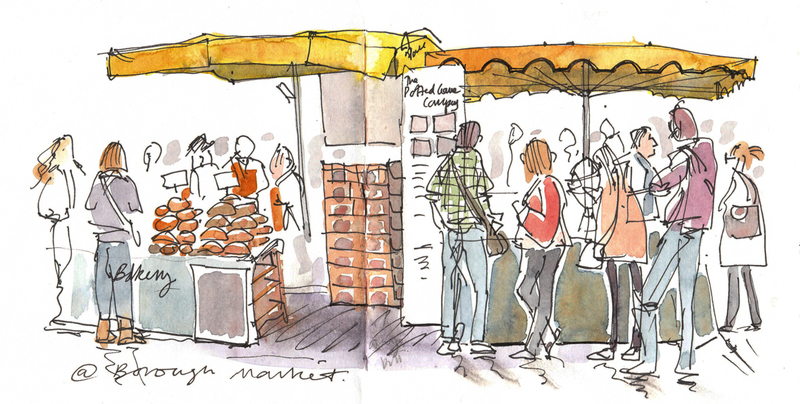 Thanks to Lis Watkins for letting us use her sketches for our image this month! 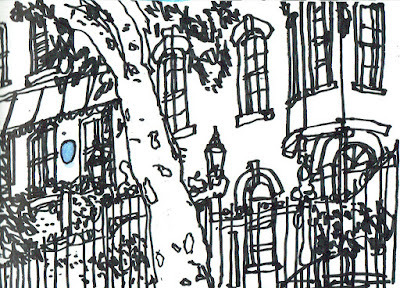 One thing I enjoy is drawing movie locations - the more obscure the better. Of course in London there's plenty to discover. 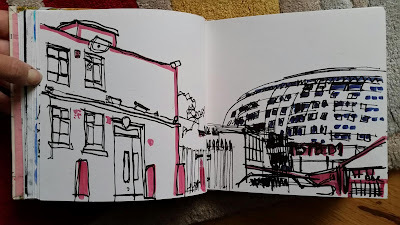 I'm also a big fan of Simon Pegg, so with Halloween on the way, I thought it would be a good time to finally sketch some locations from seminal Zom-Com ("zombie comedy") Shaun of the Dead. When I moved into the Haringay area 10 months ago, I was excited to learn that a lot of the Shaun movie was shot near where I now live. 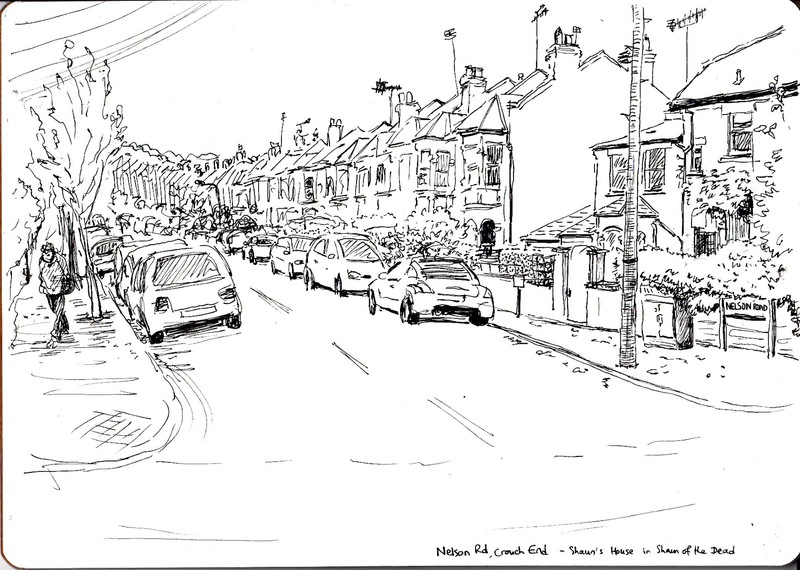 The one that grabbed my attention was Shaun's house itself, a few streets away from Crouch End Broadway. The street features in two great identical long takes of Shaun walking from his house to the shop and back, the first time when things are normal, the second when the zombie outbreak has begun. 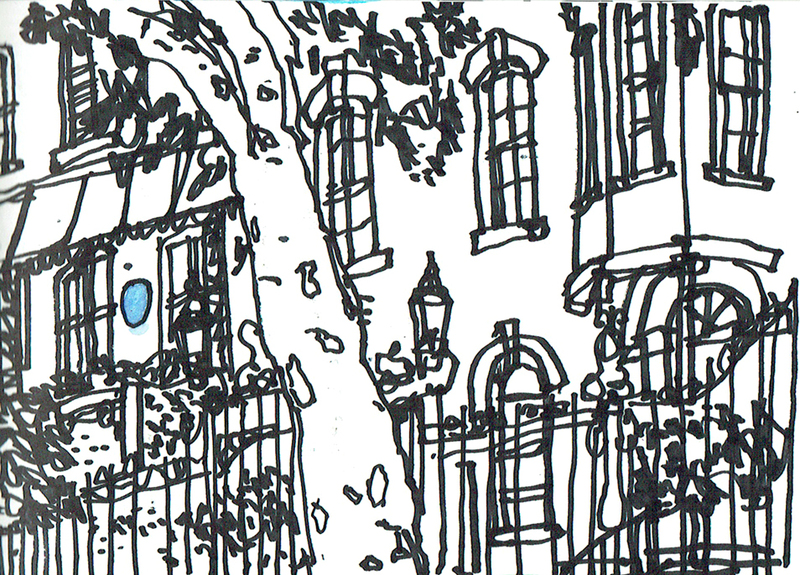 There were no zombies in sight when I started sketching, but I did feel a bit odd to be drawing a purely residential view with no obvious landmark or attraction - still, no one looked twice at what I was doing. It started raining by the end, but I persevered under an umbrella. The most well known location of the movie is The Winchester, which in actual fact was filmed down in South London, in New Cross, coincidentally near where I previously used to live. However, I was intrigued to discover the real Winchester pub on Archway Road, less than 5 minutes from my current house. Although no filming was done here, Simon Pegg and Nick Frost used to be regulars and it was here the idea for the film was born. 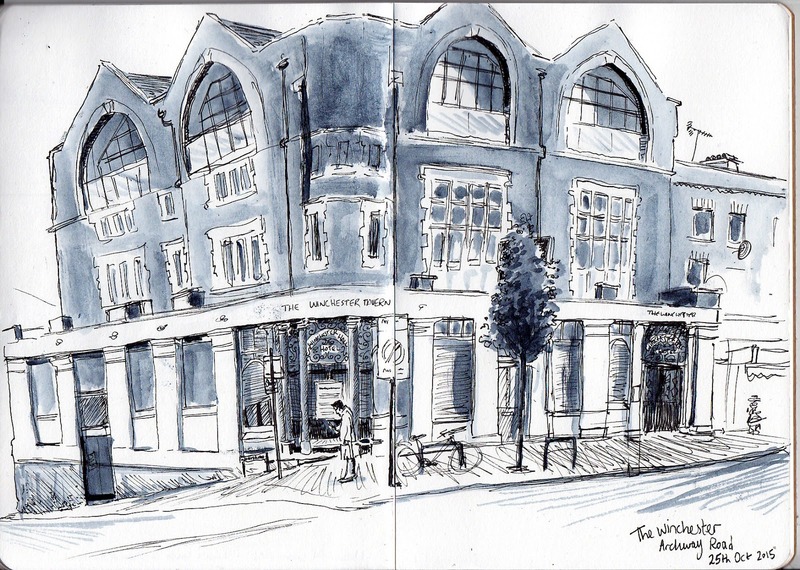 The Urban Sketchers in London Group are holding their fourth annual exhibition at the brand new Soho branch of Timberyard - which opens on 2nd November 2015. 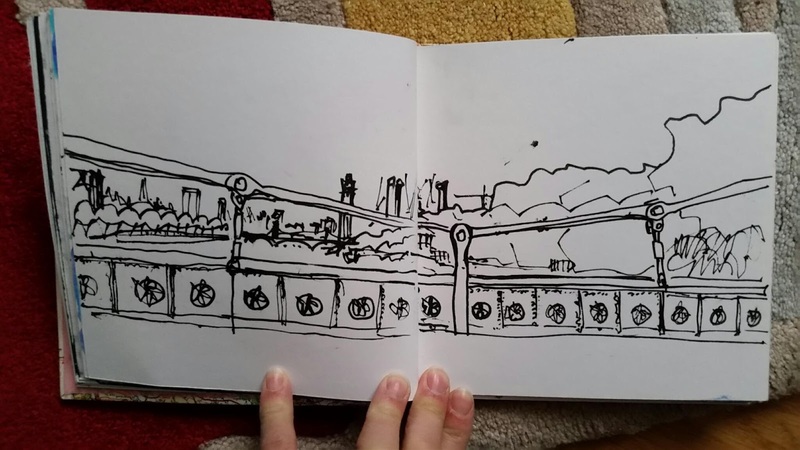 Some of the original sketches are for sale. Others will be available as prints. 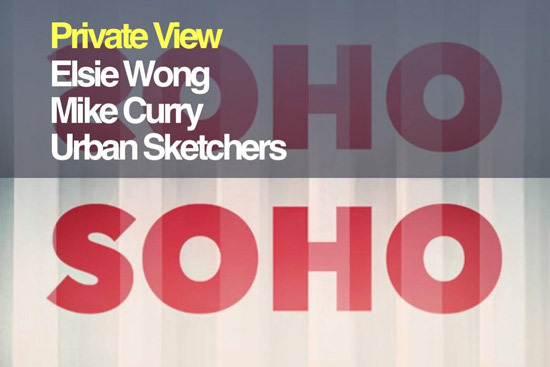 We hope to see you at the Private Event (see below) and hope you enjoy the exhibition. This is the announcement about the exhibition on the Timberyard website. 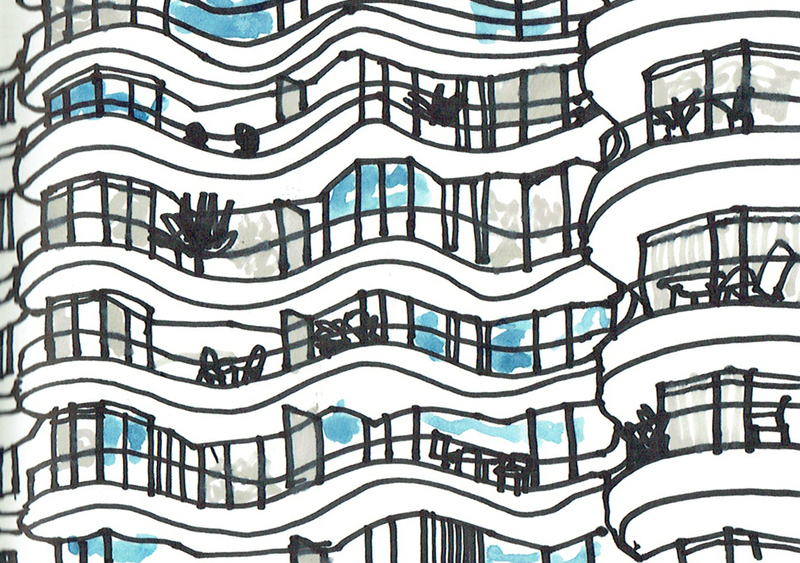 We'll be posting photos on this blog of both the exhibition and Private View on 3rd November. We're running a number of events associated with the Exhibition. London Creatives is a project that celebrates the colourful talents of our city’s emerging artists, start-ups and early stage businesses. 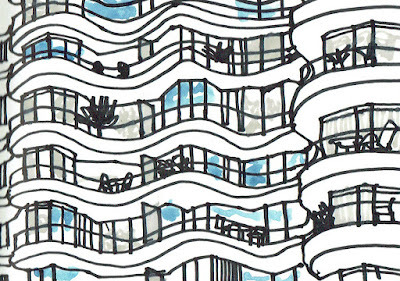 Join us for an evening of exciting art, colourful people and Spanish wine plus the chance to meet the artists exhibiting at this the first TY Soho exhibition. 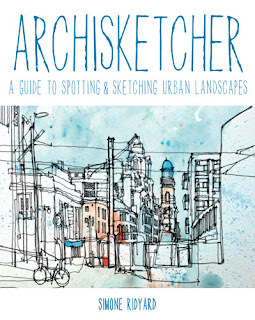 Returning to the walls of Timberyard for this six-month exhibition of works by the city’s branch of the international drawing phenomenon that is Urban Sketchers. 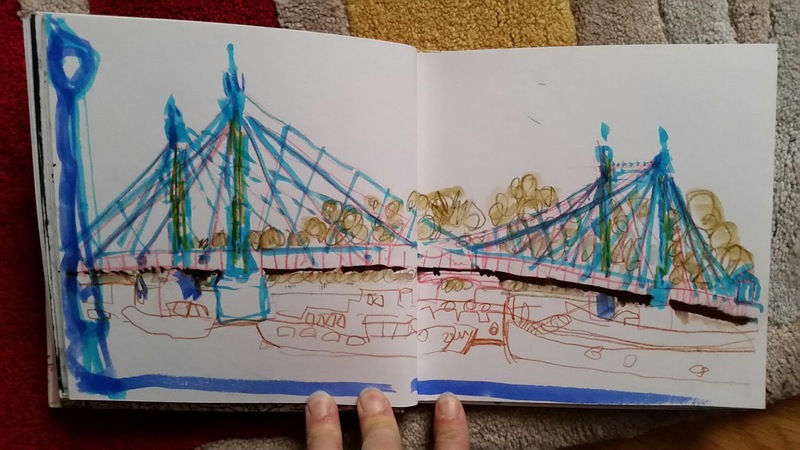 The exhibition includes a broad range of works of London scenes from the members’ sketchbooks – and some of the works are on sale. 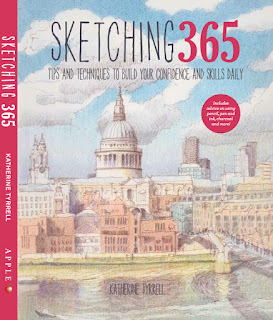 On Wednesday 25th November London Urban Sketchers are holding a Book signing: Katherine Tyrrell, Isabel Carmona and James Hobbs, 7-8.30pm at the exhibition. 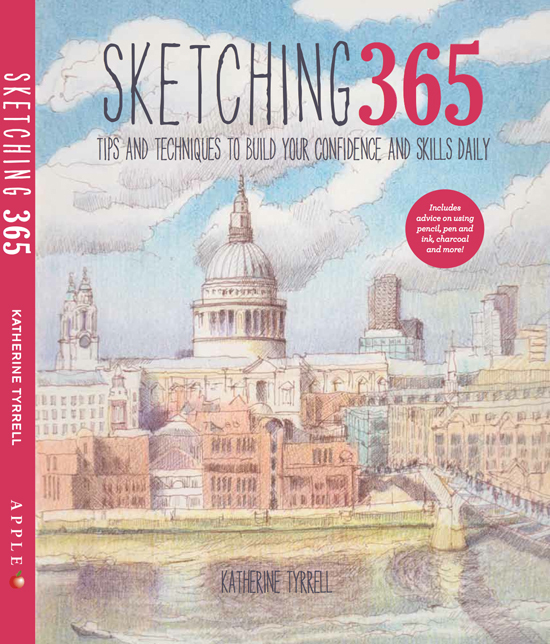 You can meet Katherine, James and Isobel to discuss the world of urban sketching alongside Timberyard’s exhibition of drawings by London Urban Sketchers - and they'll also be happy to sign copies of their books for you. This is the list of sketchers and works selected for the exhibition. 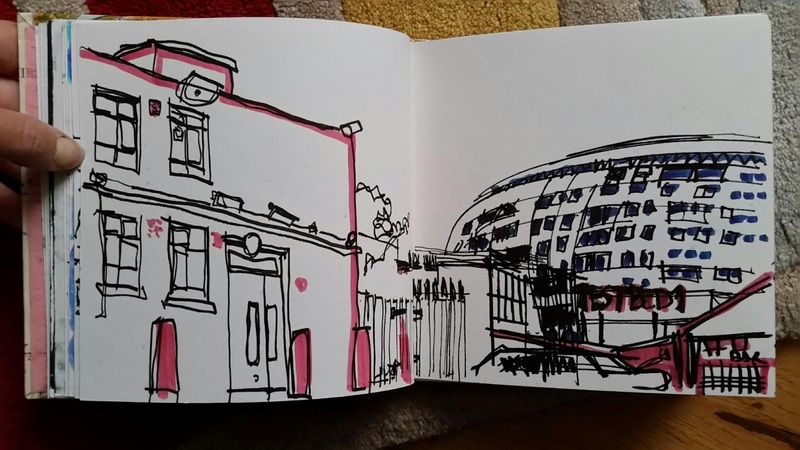 The sketches are a mix of ones done on our regular monthly sketchcrawls and those sketched while people have been out and about London. Links in the names below are to the websites or blogs of the sketchers. Do please take a look at their other work. We very much enjoy exhibiting with Timberyard as the owner is very enthusiastic about linking up to creative people - not least because the different branches are all frequented by very creative people! 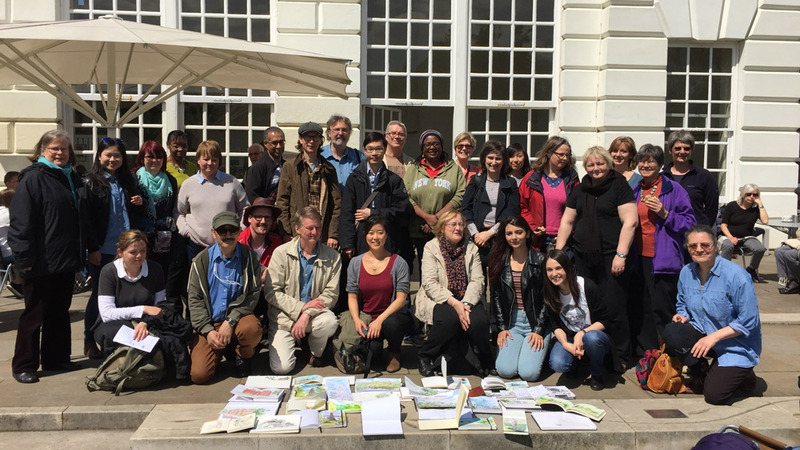 The 2016 International Urban Sketching Symposium will be held in Manchester between 27th-30th July 2016. The symposium is an annual educational and networking event organized by Urban Sketchers, a nonprofit organization dedicated to fostering the practice of on-location drawing. In addition to USk Manchester, several Urban Sketchers Regional Chapters in the area are contributing to the production of the event: USk Yorkshire, USk London, and USk Birmingham. We'll be talking more about this at a later date. Sketchers of all levels, experience, and backgrounds are welcome! The organiser, Simone Ridyard has set up a Facebook Group for all those thinking of coming who may have questions, want advice about travel arrangements, hotels etc. 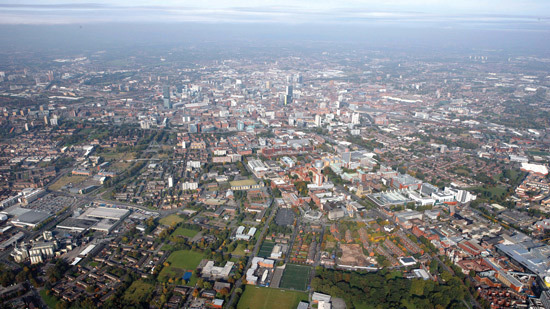 JOIN THE NEW SYMPOSIUM FACEBOOK GROUP https://www.facebook.com/groups/1633806703541999/ to discuss USk Symposium Manchester 2016. They're ready for your questions about travel arrangements, hotels etc - just ask a question in the group! I enjoyed a lot the sketch meet last Saturday. It was good to see loads of sketchers along the north bank from Battersea to the Albert Bridge as I approached the meet point. 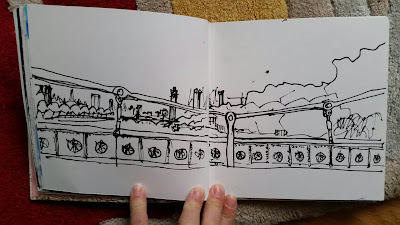 My first sketches were of the Albert bridge from the north bank and from the bridge itself looking to the east. I liked the connections of the bridge and the careful ribetting. 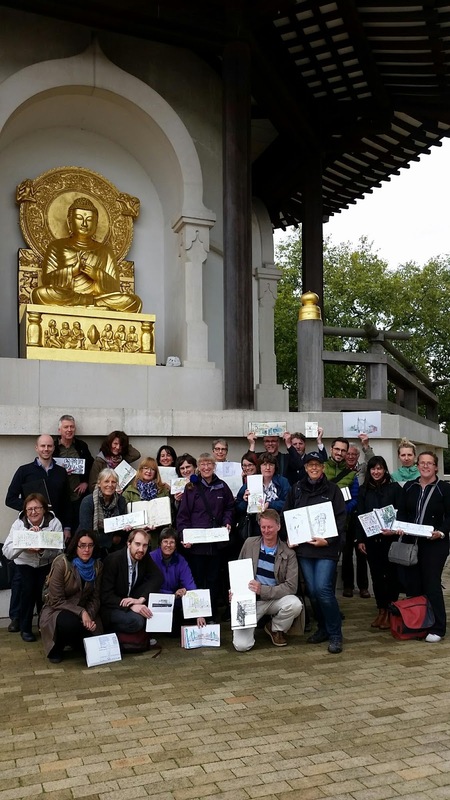 In the afternoon, after our lunchtime meet at the Battersea Pagoda - see group photo - I had time for a sketch of the back of the Fosters Albion building, curvaceous, on the approach to the grungely urban Doodle Bar. 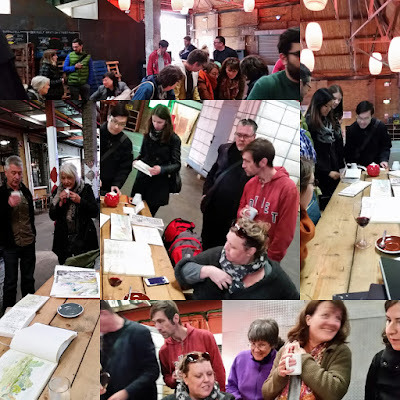 The afternoon meet was lively and expontaneous and everybody mingled and chatted whilst looking at each others work. Fantastic! Across the river on the Battersea side are the offices of the architects Foster and Partners. They designed Albion Riverside, the neighbouring development with curvy-lined balconies overlooking the Thames and Cheyne Walk opposite. It was a good day's drawing, although I seemed to spend more time talking than drawing. We all met up at the end of the day at Doodle Bar on Parkgate Road to look at what we'd all done. There was some great work. Well done to Isabel for organising the day. 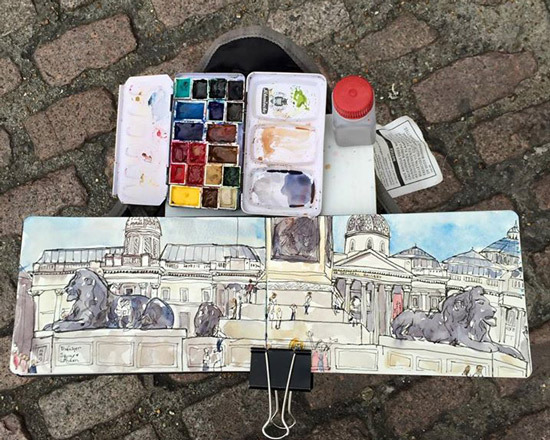 make sure people remember that the deadline for entries for the London Urban Sketchers Exhibition opening this November is the end of Saturday 10th October.